Positioned just in front of the prestigious Villa Padierna Palace 5* Hotel, the frontline Golf Los Flamingos Acosta Luxury development was wonderfully designed for exclusive Golf pleasure offering astonishing Golf & Sea views. 24 hrs. Security, 2 swimming pools with stunning views, 2 Paddle tennis courts. 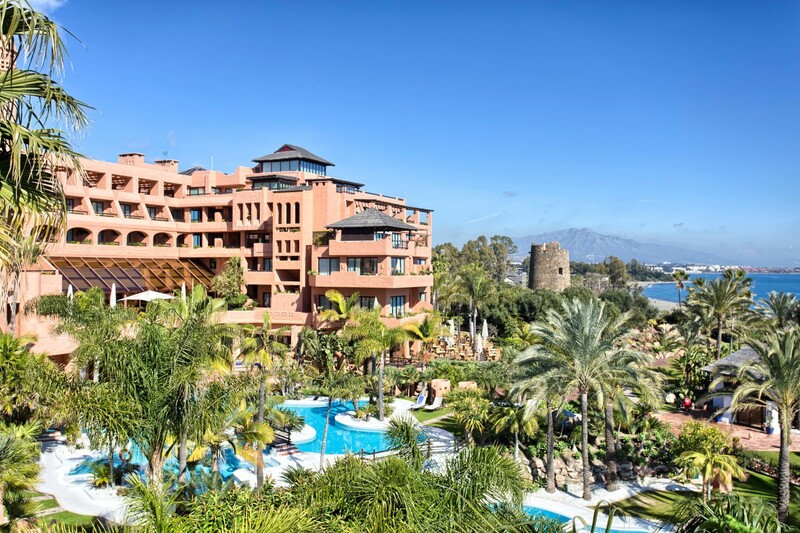 Los Flamingos Acosta intelligent modern design provides stunning panoramic views to the sea, to the lake and to the extensive Alferini Golf Club courses. 2nd floor Luxury apartment designed for the most exigent Golf lovers. Stunning panoramic views. Very luminous. South-West facing: warm afternoon sun. Fully fitted kitchen Siemens (fridge, micowave, owen, toster, coffee machine etc), separate laundry with washing mashine. Spacious living room with dining área. Flat TV in the lounge and the master bedroom with international channels. Confortable master bedroom with bathroom en-suite with Jacuzzi, twin sinks in master bedroom. Secound bedroom with built in wardrobe, TV. Second bathroom with bath. Covered terrace with breathtaking views to Africa, Gibraltar, Los Flamingos Golf, Villa Padierna Hotel and the mountais. Air conditioining hot/cold, Automatic sunshades, Underground car parking space for car and for buggy, storage. Please, contact me about ref 223-00579P, Apartment on sale in Acosta los Flamingos, Benahavis, or similar properties.